Activity monitoring technology is beneficial to both you and your cows. With today’s milk prices, investing in activity monitoring technology might seem like an unnecessary expense. But, the reality is, activity monitoring technology can help dairy herds of all sizes maximize their labor and resources, a smart investment at any milk price. Today’s activity monitoring technology offers you more control than ever before. At their fingertips, farmers can quickly identify sick cows, cows in heat or discover someone left the gate open. They can also check cows and make decisions, even when they’re away from the farm. Here are nine ways activity monitoring can pay-off in a herd. Easy, accurate record keeping. Activity monitoring tracks how each cow is doing, what her heat status is and where her location is 24/7. 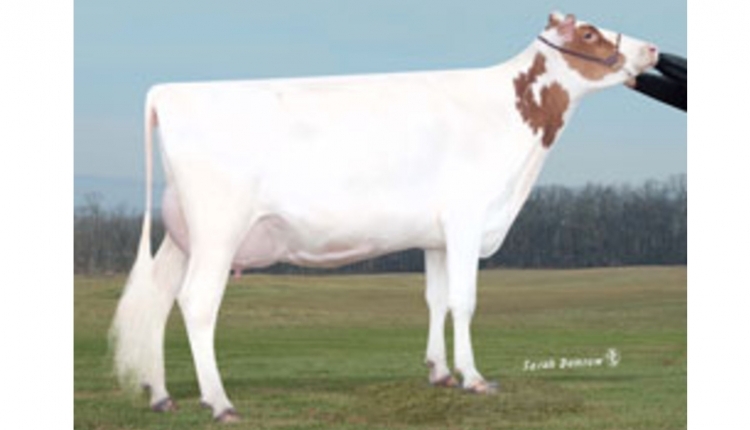 It also identifies bottlenecks and delivers herd performance trends. It records cow activities that humans aren’t able to record and offers insight at any time. Real-time decision making. If something is wrong with individual cows or groups of cows, an alert is triggered. Immediate steps can be taken to correct the situation. No more waiting until morning or afternoon chores to notice a sick cow or other situation that requires attention. Improved labor efficiency. Instead of spending time checking for heats and herd health or searching for cows, employees can spend time tackling management areas begging for more focus on the farm. Decreased medication and labor costs for sick cows. Activity monitoring systems detect sick cows before humans. They allow you to save time and money by catching and treating a sick cow before she starts showing symptoms. Reduced health issues. State-of-the art activity monitoring systems continuously monitor eating activity, rumination patterns and inactive behavior. You can quickly detect diseases like ketosis, subclinical mastitis and pneumonia a few days before the cows show symptoms. Improved cow longevity. Reduced health issues due to use of an activity monitoring system translate to improved herd productivity and longevity. Improved cow comfort. Activity monitoring systems provide data that could positively influence adjustments in housing, handling, nutrition or activity. Improved conception rate. Dairy farms with well-managed activity monitoring systems have seen improved conception rates. Sensors identify the optimal breeding time more accurately for improved breeding results. More time to enjoy life. Activity monitoring is constantly watching over the herd, giving you the confidence to leave the farm and participate in things that are important to you and your family. Using actionable data helps you better your best. Making the most of the activity monitoring technology available to you will bring the nine benefits to life. Even in down economies, farms using the technology report it only takes 1-3 years for the technology to pay for itself. And that doesn’t account for the peace of mind you get with the system. To learn more about activity monitoring systems and how they can help your farm reach its productivity goals, visit nedap.com/dairyfarming. 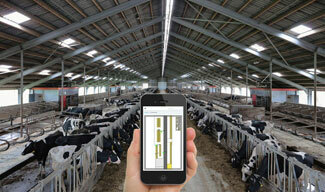 Nedap Livestock Management (www.nedap-livestockmanagement.com) is the global leader in farming automation using individual animal identification. Nedap’s easy-to-use technology helps farmers manage millions of dairy and beef cattle, and pigs 24 hours a day, in more than 100 countries. Nedap empowers managers and personnel with dependable information to make operational and strategic decisions and has for more than 40 years. Nedap focuses on helping livestock farmers become the best farmers in the world. A publicly listed company, Nedap employs more than 700 people globally, across 11 locations and eight business units.